Bradford Gamble, MD was raised in Plano, Texas. 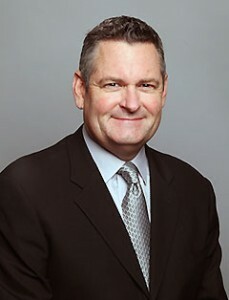 He attended Plano Senior High School, graduating with honors in 1985. He then attended Baylor University in Waco, Texas, where he received his BS in Biology. Following college, he attended The University of Texas Southwestern Medical School in Dallas, where he received his Doctorate of Medicine. After obtaining his MD, he remained at UT Southwestern and completed his 6-year residency in Otolaryngology/Head and Neck Surgery. He was board certified in Otolaryngology/Head and Neck Surgery shortly thereafter. After residency, he joined Dr. Greg Rohn and practiced ENT for 15 years, on the campus of Texas Health Presbyterian Plano, and Texas Health Presbyterian Dallas. During this time, he enjoyed his interactions with staff at both facilities, and underwent the progressive learning and tempering that private practice provides. 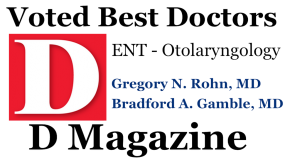 He has honed his skills in all aspects of general Otolaryngology/Head and Neck Surgery, including pediatric ENT surgery (both routine and complex airway work), endocrine surgery, head and neck oncology surgery, complex sinus and skull base surgery, functional nasal surgery, ear surgery, laryngeal surgery, and sleep apnea surgery. In addition to surgical services, he has perfected his skills in diagnosis and management of non-surgical disorders of the ear, nose, and throat including otologic and vestibular disorders, unusual throat complaints, complex sinonasal infections, and voice disorders. 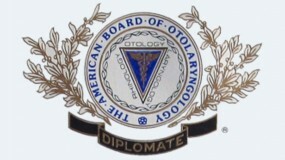 He will continue to serve patients in Otolaryngology Specialists of North Texas on the campus of THR Presbyterian Plano, and in the region of THR Presbyterian Dallas. Dr. Gamble has been married to his wife, Mary, for the past 10 years. Besides being the love of his life, she is an outstanding audiologist, and Otolaryngology Specialists of North Texas (OSNT) is proud to have her serve as our director of audiological services. 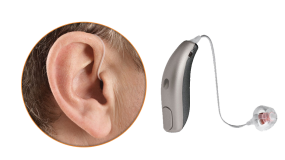 She will continue to provide excellent audiologic and vestibular testing, as well as hearing aid evaluation and fitting in OSNT. They have two children, Wyatt (11) and Wade (9), who constantly provide inspiration, focus, and entertainment to both parents. In his spare time, he is an admitted “trout bum” and tries to get out of Dallas to regions where the water is clear, the air is cool, and trout willingly take a fly. He also enjoys training for and running marathons.